Your computer's performance can be affected by lots of things, but Avast Free Antivirus isn't one of them. Find out how to get your PC up to speed. When you turn on your computer in the morning, do you have enough time to brew a cup of coffee while it starts up? Is your PC so tired that you can take a walk around the block waiting for a program to open? If your machine is sluggish and tired, there are a few things you can do to give it a digital caffeine-boost! If you get messages that your hard drive is 90% full, then it’s time to do some serious cleaning. You can reclaim some space by emptying the trash, moving video, audio, and image files to the cloud, or deleting stuff you don’t use anymore, but that seldom makes a big difference unless you are adept at searching the bowels of our machine for unwanted computer files. Everytime you write an email, modify an image, or edit a document, files are fragmented and re-distributed on the hard disk. Everytime you install or delete a program, your computer gets cluttered with miscellaneous, incomplete files. Leftover code remains, which can eventually cause the system to get sluggish, wasting system resources. 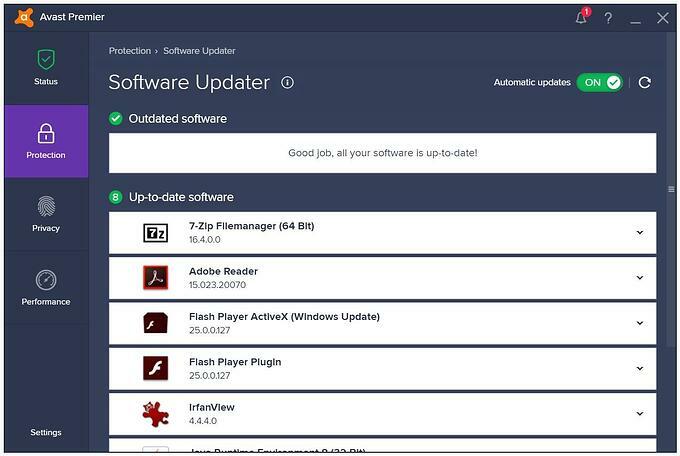 Avast Cleanup scans your system to identify unwanted or obsolete files and programs that can be removed or disabled so that your computer runs in an optimal state. We all love free stuff, but not everything is as trustworthy as Avast Free Antivirus. When you download free software, it often comes with hidden add-ons or other PUPs (Potentially Unwanted Programs) that slow your computer down or contain harmful code which can damage your computer. Some free toolbars infect your PC, steal personal data, hijack your browser, or install software you do not need or want. Applications and programs running in the background can slow your computer down. For example, if you listen to music, an audio program runs in the background taking up resources. Go to your Task Manager to see which programs are running, and if you are not using something, then you can quit the process. If none of these things help to bring your computer back to life, then it may be time to purchase a new computer or resign yourself to waiting and relish the time to enjoy one more cup of coffee. Your security program should not slow you down! One program that shouldn't slow you down is your security program! Antivirus is one of the programs that runs deep within the system in order to protect you continuously against malware threats. If your security product takes up too many system resources, you could get annoyed and disable it, which is definitely not good. AV-Comparatives published their Performance Test Report recently, and Avast Free Antivirus was at the top of the list compared to 19 other solutions, most of them paid versions. Since Performance is one of Avast’s company pillars, we take pride in the fact that our products will not slow you down – and one of the most respected testing agencies around has confirmed that with their test.